Ghibli is returning to Toronto this holiday season. From December 13th to January 3rd, TIFF Cinematheque will be presenting a retrospective devoted to Japan’s Studio Ghibli and its repertoire of films. Spirited Away: The Films of Studio Ghibli will show a total of 18 different films like favourite My Neighbor Totoro and less well-known pieces like Pom Poko, Whisper of the Heart, and My Neighbors the Yamadas. This is the second time Ghibli’s films have come to Canadian audiences in Toronto, and while many of the same films played last year, one new addition is creating a bit of a stir. Grave of the Fireflies, which is considered by some to be one of the greatest animated films of all time, will be playing this year on Friday December 20th and January 1st. Unlike other Ghibli films, Grave of the Fireflies tackles the more mature and dark events of life in World War II Japan. The film is set in 1945 and follows a teenager named Seita. When his hometown is hit in an air raid, he finds himself surviving on the fringes with his young 5-year-old sister Setsuko. It’s a heart wrenching film to watch, but one that tells an important story. What this film has shown is Ghibli’s ability to tell stories that do more than just entertain. This year, the studio released The Wind Rises, a film that looks into the creation of the Zero, a Japanese fighter plane and its creator Jiro Horikoshi. 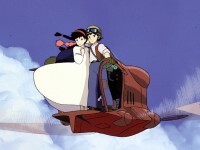 Following the film’s release, Miyazaki was criticized for being unpatriotic when the film took a critical look into Japan’s activities during the war. The director’s final project showed that the studio’s ability to tell stories in difficult territory remains strong. There are a number of other films being played at the festival this year, so be sure to take a look below at the full schedule listed. The schedule also includes a small description of what you can expect to see in each film and timings for the subtitled and English dubbed versions playing. On December 12th, Guillermo del Toro, director of films such as Pan’s Labyrinth and Hellboy, will be holding a Master Class session to help deconstruct the artistry of Mizaki’s films. 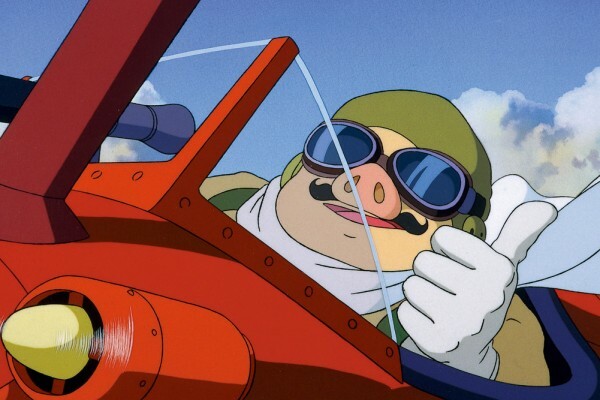 This session will also provide an extended introduction and post-screening discussion of Castle in the Sky, on of Miyazaki’s most well-known films. Tickets for the screenings go on sale on December 4th for TIFF Members and on December 11th for the public. Seating is limited, so be sure to get your tickets early for any of the films you wish to see. Be sure to check out the next page for a full schedule of the films.